Toby's Sports is turning 40 this month! In celebration of this momentous occasion, Toby's treating everyone to a bunch of exciting deals with their 40th Anniversary Promo! 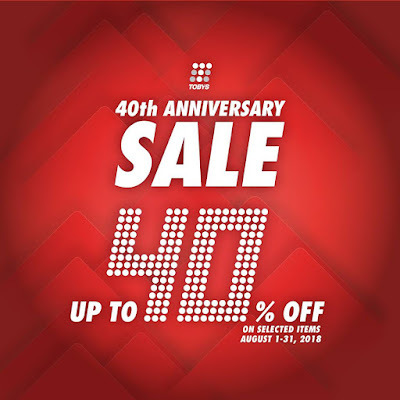 Enjoy up to 40% OFF on select products for the whole month of August! Available at participating Toby’s Sports and Toby’s Arena stores, and online at Tobys.com.